www.underclassblog.com — The stunning sequel to Hungry Shark™ Evolution is here! The Sharks are back, and this time they are taking on the entire WORLD! - The present you have always wanted: COLOSSAL SQUID BOSS Daily Contests! -Defeat the boss in the fastest time to win a NEW limited edition pet! - The festive spirit is everywhere! Find rewarding treats and check out all the Santa hats! 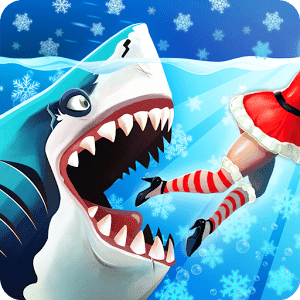 - Wear the swanky new Christmas outfit to boost health and gold bonuses. - New level coming soon!